Large-scale sites such as shopping centers, industrial complexes, college campuses, and multi-unit housing complexes require high-powered remotes that can cover long distances. The Roam XL is as powerful as they come and features a simple user interface with 128 different programmable addresses. Within line of sight, it can function up to 3 km from the controller. 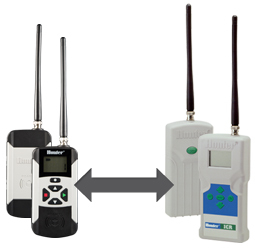 The compact, high-powered remote is a single unit that can be carried from job to job and used to remotely access any Hunter controller that has a SmartPort connector. It eliminates the need to physically visit the controller to start or stop a cycle during maintenance, installation or winterization. 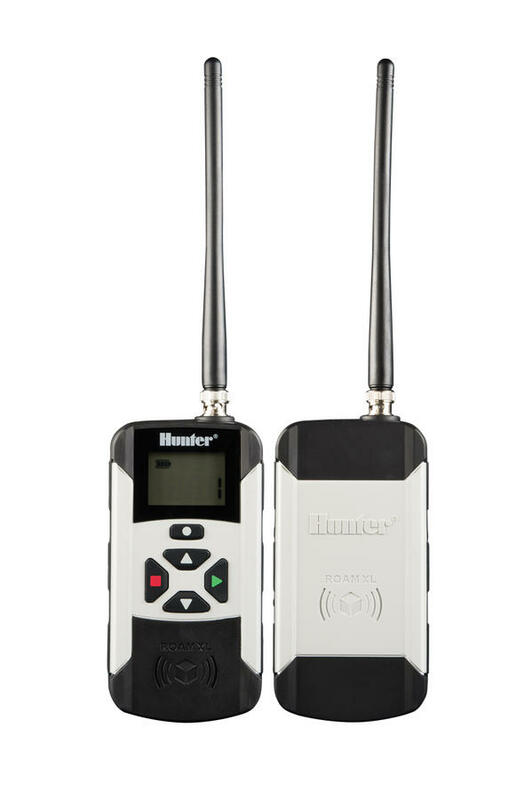 The Roam XL transmitter and receiver both work with ICR transmitters or receivers. So, if you upgrade your ICR remote to Roam XL, you can still use your old ICR receiver. Or if you bring an ICR to a site that has a RoamXL receiver, they will work together.